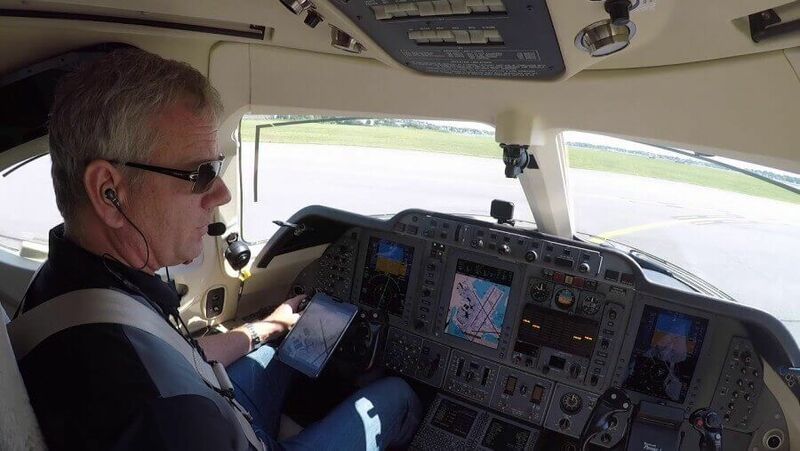 It's been a while since I last published a story in this series, but after listening to episode 6 of Justin Siems Pilot to Pilot podcast with Greg Mink, aka Premier 1 Driver, I just had to continue this series and write about all those great aviation YouTube channels. Previously, I covered Steveo1Kinevo, FlightChops and MzeroA in this series. Now it's Premier 1 Driver's turn, a business aviation and former Air National Gard F-16 pilot flying his Beech Premier jet around the US. Greg started his flying career at age 15 when his dad told him at the kitchen table "I bought a plane today". What follows was a great father and son time where they did their training together, although Greg had to wait until his 17th birthday to legally be able to take his checkride. After finishing his PPL, instrument rating and moving onto some bigger birds, Top Gun finally pushed him towards the Air National Guard, where he flew F-16 fighter jets at age 24. After retiring from flying the F-16, Greg decided to get into the business world rather than pursuing a career at the airlines. After having owned and flown multiple airplanes, from a Cessna 210 to a C414A and MU2, Greg needed something that offered better performance, speed, efficiency and capabilities. The Beechcraft Premier was the perfect choice for them, offering speed, a higher service ceiling and great fuel efficiency for a jet. Greg traveled to Europe to pick up the plane and flew it around Europe with his father before bringing the plane back to the States. Greg started recording some of his flights with cameras. First for his own memories, but later he occasionally started posting them on YouTube and they started to take on a life of their own. His channel started to get more traction and was receiving great feedback and even some gear to help improve his videos. He does emphasize that safety is and always will be his first priority, which is, of course, the only way one should do this. On his YouTube channel, Greg shares his experiences flying the Premier jet, but also some beautiful sceneries he flies over, great places he visits and insights for new and current pilots. Apart from being inspirational, his videos also teach you about flying, whether that's for fun or as a career. Apparently, his wife is not the biggest fan of his YouTube videos, but I sure am! If you haven't subscribed to his channel yet, you should, because you don't want to miss out on any of his great videos! If you want to learn more about Greg's life, how he started his aviation journey and how he got where he is now, I highly recommend you listen to Pilot to Pilot podcast episode 6 where host Justin Sims interviews him about his flying career and channel. You can follow Premier 1 Driver on Youtube and Instagram. What are your favorite aviation YouTube channels? Let me know in the comments!